See your best. Look your best! For nearly a decade, our board certified optical professionals have provided thousands of patients and customers with personalized service. Our enthusiasm for exceptional eyewear and personal consultation will help you find the right pair (or two) of eyeglasses and sunglasses, within your budget, for everyone in your family. Our on-site lab technicians are experts at the details required for fitting prescription lenses to thousands of today’s many unusual frame shapes and styles. Whatever your lifestyle, or need for the perfect eyewear, our goal is help you choose the right eye candy to help make you that perfect ten! At EyeCandy Optical we take your vision care seriously but make your office visit a unique experience! We provide the most comprehensive diagnostic and preventative measures so you can protect your vision and maintain good eye health. Click Here to Schedule Your Eye Exam! 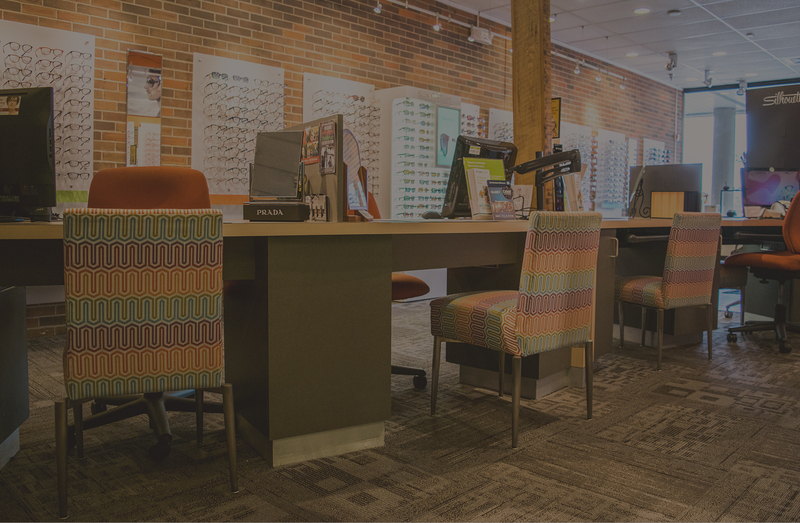 To help you always look like a perfect ten in your eyeglasses or contact lenses, we’ll help make sure they’re a perfect fit before you leave our office. We’ll even give you expert tips on the best way to clean, store, and care for them! For people with presbyophia – or trouble focusing on close-up objects – we can also help determine if multifocal contact lenses are a good alternative to your reading glasses. This cutting edge, safe, non-surgical procedure can correct refractive errors such as nearsightedness, farsightedness, and astigmatism that can hamper your vision and your lifestyle. Using specially designed contacts that gently reshape your eyes during sleep, they allow you to see clearly throughout the day without the need for glasses or contacts! At EyeCandy, we accept most forms of vision insurance, including Aetna, Davis Vision, EyeMed Vision Care, NVA, VBA, VSP, Medicare, Gateway, UPMC, Highmark BCBS, Health America/Advantra, and United Health Care. To help expedite your office visit, please be sure to have your insurance information ready. If you don’t have vision insurance ask us about our special discounts.